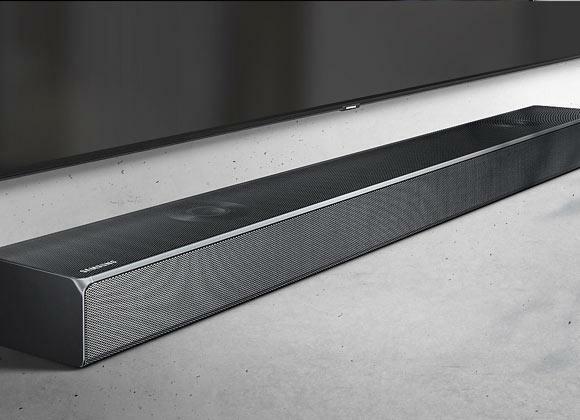 The HW-MS750 All In One Soundbar is the perfect companion for Samsung's 40 Inch and above Televisions. 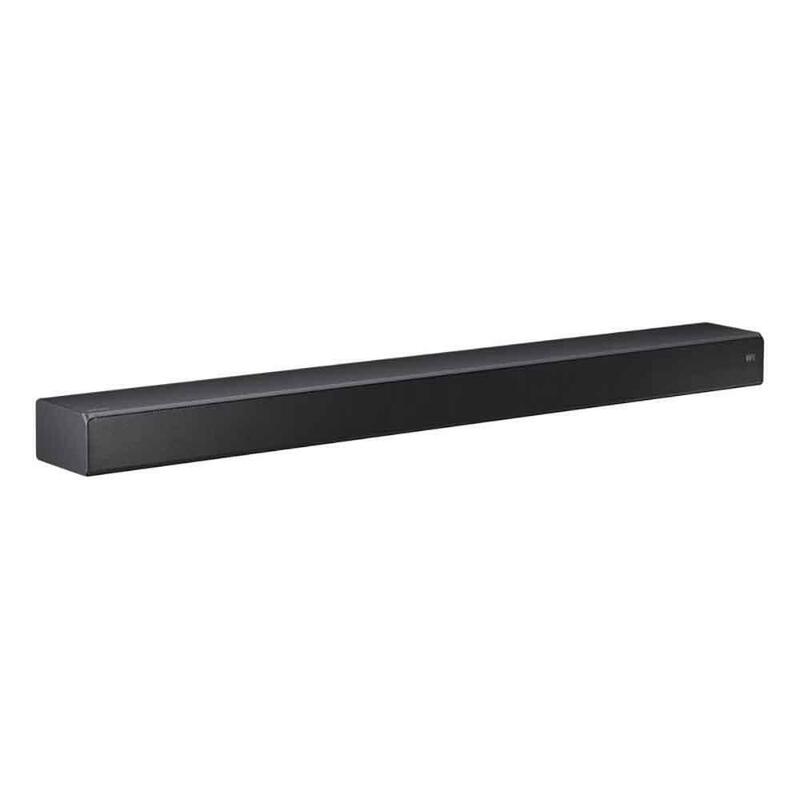 450w of audio through 5 channels and a unique mounting solution with wireless multi-room connectivity. Get 12 months Samsung Movie Lounge gourmet popcorn subscription when purchasing this product. Click here to register. 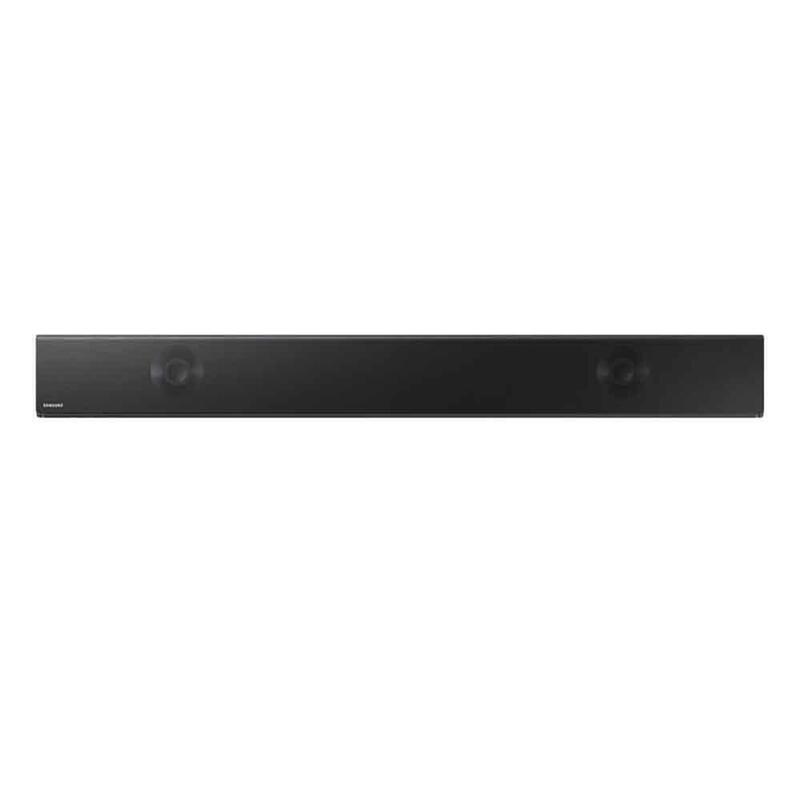 The HW-MS750 is a beautiful 5 Channel sound solution from Samsung that can either work as a standalone unit or be attached wirelessly to additional Samsung speakers to create your own cinema-style wireless 5.1 surround sound system. The built in amplifier works for each of the 11 integrated speakers to control the incoming signal to reduce distortion and provide a superior sound experience. The two outer speakers work the television to broaden the sweet spot experience. High Definition Audio is next big audio focus for digital devices and the HW-MS650 is ready to deliver studio quality that is even better than CD. 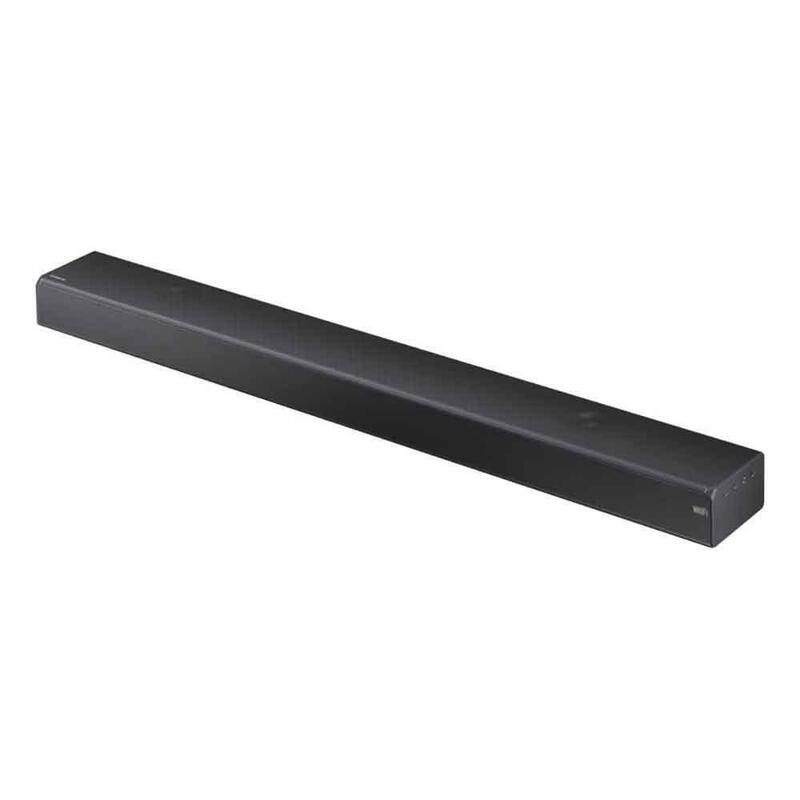 Connecting the HW-MS750 to your Samsung TV is a simple connecting power and pairing up the sound bar to the television via bluetooth. No additional wires meaning that this is the cleanest setup on the market. Samsung’s line of multi-room audio speakers can be paired up and utilised as rear surround speakers creating your own cinema-style wireless system. Alternatively the MS750 can be used in party mode, controlled by the Samsung MultiRoom app available for both Android and iOS. Bluetooth audio streaming is case of a one time pairing up and selecting the HW-MS650. The HW-MS750 also includes a 4K Video passthough allowing you to get the full resolution of connected devices such as a 4K Blu-Ray Player or Games Console. As a Blue Ribbon premium retail partner of Samsung we can offer you the best advice, selection and after care service than national retailers.